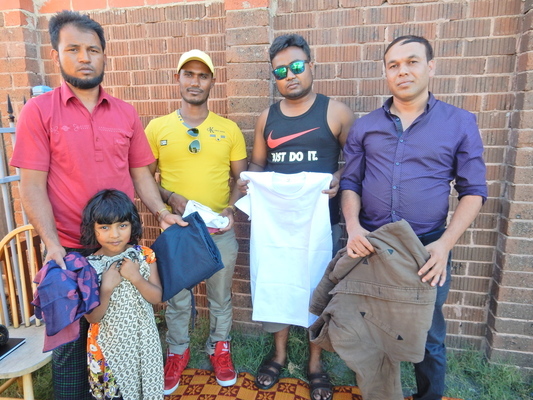 Rohingya community members from left, Abdul Hamid, Afifullah, Majid Hamza, Abdul Majid and Hamid’s daughter. Recently Majid, who now works on the community sector, recently bought his first house in Melbourne’s south east. The heart-wrenching and inspirational stories of refugees who have found safety and new a life in Australia are told in visceral and compelling detail in a new book published this week. Several stories in the book feature people living in the Dandenong area. “They also bring with them hopes, dreams and ambitions for their children. They are, by definition, resilient and ingenious people who have overcome challenges and dangers just to get here. Refugee settlement agency AMES Australia CEO Cath Scarth said the book was a reminder of the contributions refugees make to Australia.